Highly Recommend Item received as described! Item came in good condition. Satisifed with customer service side. Best to go down and collect to check all defects. Satisfied. received within 3 days. nice n easy to assemble. received with free gift n lock. very happy with the purchase.... ride with kids and they like it so much. When do you restock for the child seat? Restocking will take about an estimated 2-3 weeks. We will update the listing once we have it in stock. Noted, we will keep you posted! Hi if I bring from q10 will I get the free lta registration and collect today? The LTA registration costs $20. Yes, if you opt for self-collection, you can come and collect it on the same day. Please remember to bring your e-voucher along. On Qpost : Hi, starting from April 1st, there's a LTA registration fee of $20. Sorry for any inconvenience caused. Can we dont want the warranty? it's not add-on warranty why do we have to pay for it? Hi sorry but the final price of the product will only be shown after you select for all the options. Thank you. For the front child seat, can i choose the one that is flat. You would have to pay for the front flat seat. 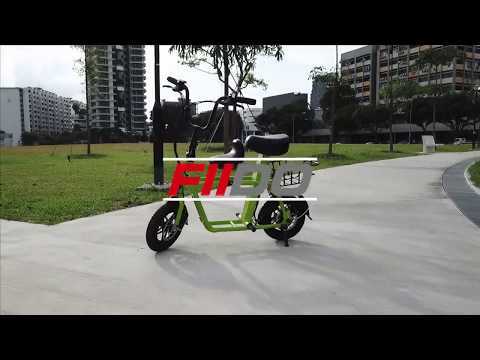 For the child seat that comes with fiido it is as seen in picture. How will you ship to Thailand if I order..by air or sea? .is it door to door service included in shipping charges. You can try to input your address when you're checking out.